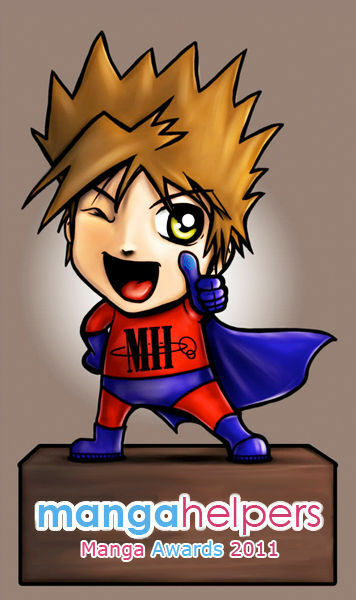 MangaHelpers > News > Site News > Mangahelpers Manga Awards 2011 - Help Us Break the Ties! Mangahelpers Manga Awards 2011 - Help Us Break the Ties! The nomination stage has ended for the Manga Awards, but like many of you may already know only the top 5 titles in the respective categories with the most nominations can proceed to the voting stage as 'official nominees'. As such we have ties in many of the categories for e.g. the 4th and 5th places. Help us break the ties and decide which titles proceed to the voting round and become official nominees! The Manga Awards Section can be found [HERE].